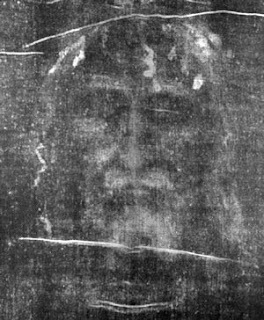 As Pope Benedict confirmed his intention to visit the Shroud of Turin next year. 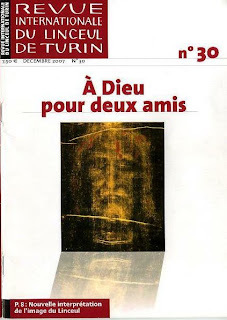 French scientist Thierry Castex has revealed that he has found traces of Aramaic on the Shroud. 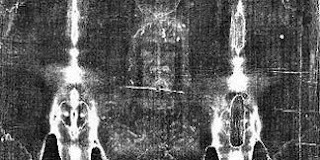 Pope Benedict confirmed his intention to visit the Shroud of Turin when it goes on public display in Turin's cathedral April 10-May 23, 2010, Catholic News Service reports. Cardinal Severino Poletto of Turin, papal custodian of the Shroud of Turin, visited the pope on July 26 in Les Combes, Italy, where the pope was spending part of his vacation. The Alpine village is about 137 kilometres from Turin. The cardinal gave the pope the latest news concerning preparations for next year's public exposition of the shroud and the pope "confirmed his intention to go to Turin for the occasion," said the Vatican spokesman, Fr Federico Lombardi, in a written statement on July 27. A recent study by French scientist Thierry Castex has revealed that on the shroud are traces of words in Aramaic spelled with Hebrew letters. 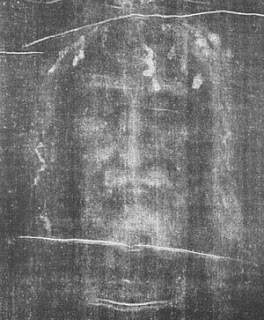 A Vatican researcher, Barbara Frale, told Vatican Radio on July 26 that her own studies suggest the letters on the shroud were written more than 1,800 years ago. She said that in 1978 a Latin professor in Milan noticed Aramaic writing on the shroud and in 1989 scholars discovered Hebrew characters that probably were portions of the phrase "The king of the Jews." Castex's recent discovery of the word "found" with another word next to it, which still has to be deciphered, "together may mean 'because found' or 'we found'," she said. What is interesting, she said, is that it recalls a passage in the Gospel of St Luke, "We found this man misleading our people," which was what several Jewish leaders told Pontius Pilate when they asked him to condemn Jesus. She said it would not be unusual for something to be written on a burial cloth in order to indicate the identity of the deceased. Grâce à un traitement d'image adapté nous pouvons faire apparaître des détails qui ne sont pas toujours perceptibles à l'oeil humain, et qui sont parfois masqués par du bruit. Par exemple en filtrant certaines imperfections (rayures, effets de trame, zones peu lumineuses ,etc..) nous obtenons une image plus propre et plus proche de la réalité. 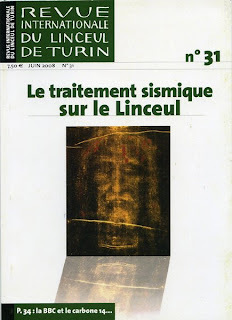 Nos travaux de traitement du signal sur l'image du Linceul de Turin nous ont permis de faire plusieurs découvertes intéressantes et ont donné lieu à quelques publications dans des revues spécialisées (ex : N° 30 et N°31 de la RILT). Ces articles ont été écrits par Eric DeBazelaire, Thierry Castex et Marcel Alonso.